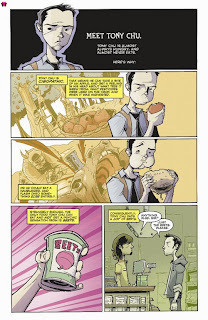 Chew is a series by John Layman and Rob Guillory about Tony Chu, an officer of the FDA. Tony has a special power, he's a cibopath, he is able to get a psychic vision about whatever he eats past. That means if he eats an apple he sees it as a seed and then growing on the tree and being picked to it being prepared and ending up on his plate. The same would happen if he had a cheeseburger. With that you can imagine the crazy things he discovers from eating even crazier things. Oh yeah in this world the FDA is the most powerful of the government agencies and chicken has been banned. 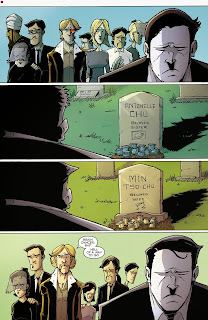 Volume 7 begins with Tony grieving the events of the previous volume and jumping back into work with a vengeance. Over the series Tony has been pushed to his limits and he's not taking it anymore. 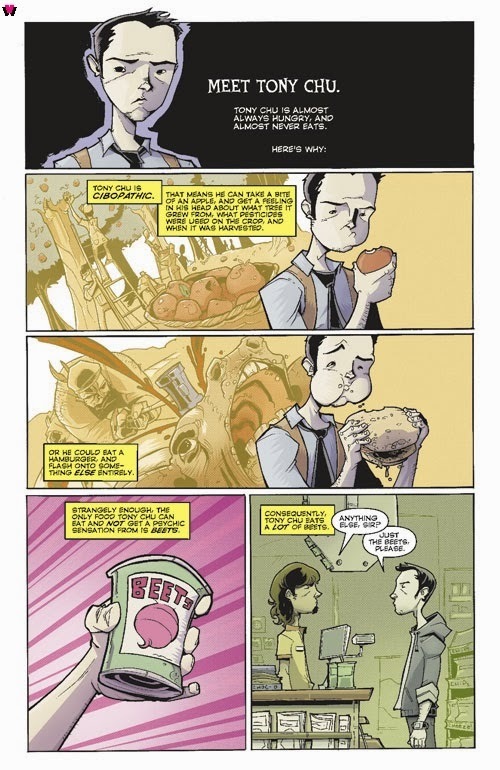 This volume continues with its brand of humor and we're introduced to people with even crazier food powers. There's a guy who has the power of using food as the strings for his guitar, yes its as useless as you would think. 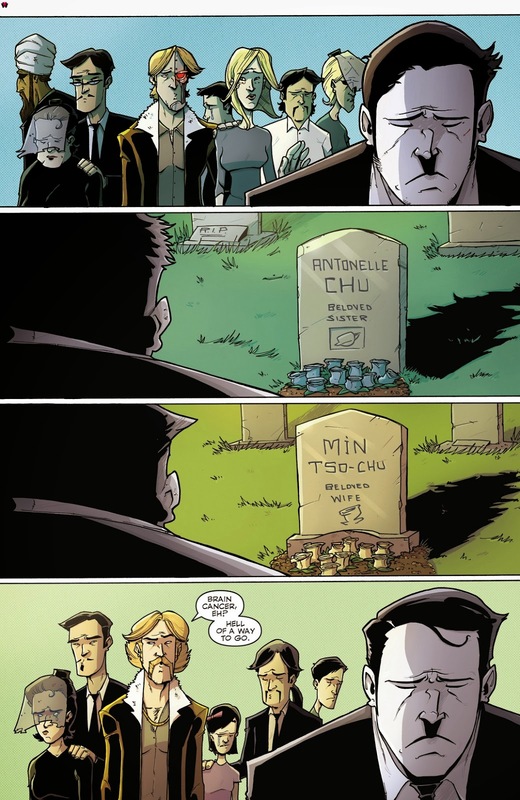 This volume ends with Tony confronting the series main villain and throwing down the gauntlet. At New York Comic Con Rob and John said that the series will go on for 60 issues and after the confrontation at the end of this volume I can't wait for the last 25. 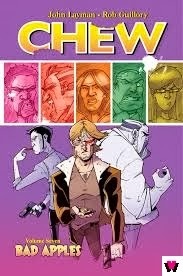 Chew is one of my favorite comics out right now and every time a new volume comes out it jumps to the top of my read list. If I was limited to reading 3 comics it would be one of my 3. The story is always amazing and little tiny story threads established throughout the series are now just starting to pay dividends. The art is fantastic and the scenery is filled with little pop culture jokes that are little morsels of comedy when you come across them. You know, like pieces of really good ribs that are stuck in your teeth and fall out hours later. 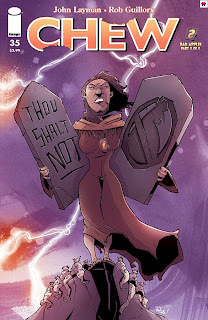 If you love comics and you're not reading this series you need to go out and grab the trades now.